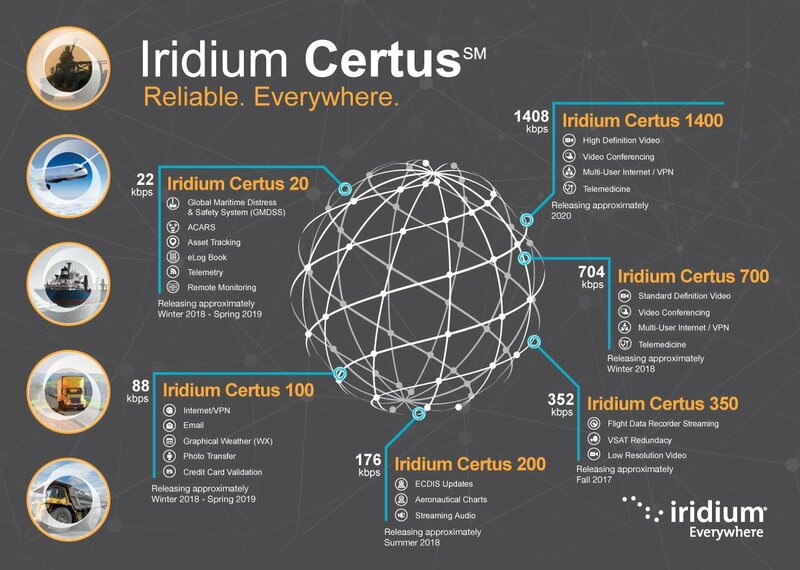 Thales unveiled its terminal and VesseLink service that will use Iridium Certus. It includes a high-gain electronic phased array antenna that weighs 3.2kg and a below-deck unit. Thales VesseLink will enable data streaming up to 256 kbps and IP data sessions up to 700 kbps downlink and 352 kbps uplink.